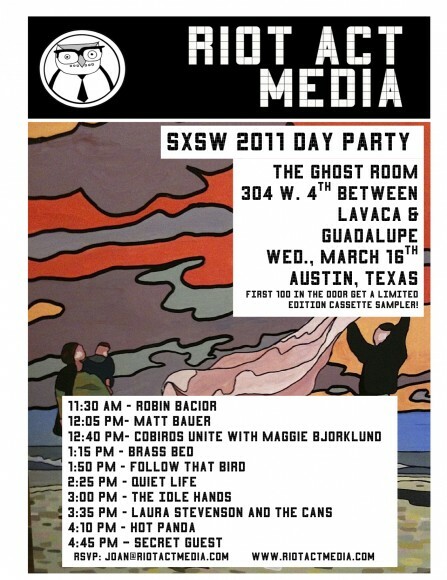 The Day Party is going down at The Ghost Room. On Wednesday March 16th Riot Act Media will present its explosive day party concert. Inside the Ghost Room, 304 W 4th street, between Lavaca and Guadalupe, guests will find ten different bands ready to kick off the music festival right. The first 100 guests in the door will recieve a limited edition casette sampler. RSVP today to ensure you have a spot in the midst of all this festivus.